It is signed, sealed, delivered. Dermatologist Dr. Worrel Sanford will be the United Workers Party (UWP) candidate in the Kalinago Territory (the Salybia constituency) in the upcoming general elections. 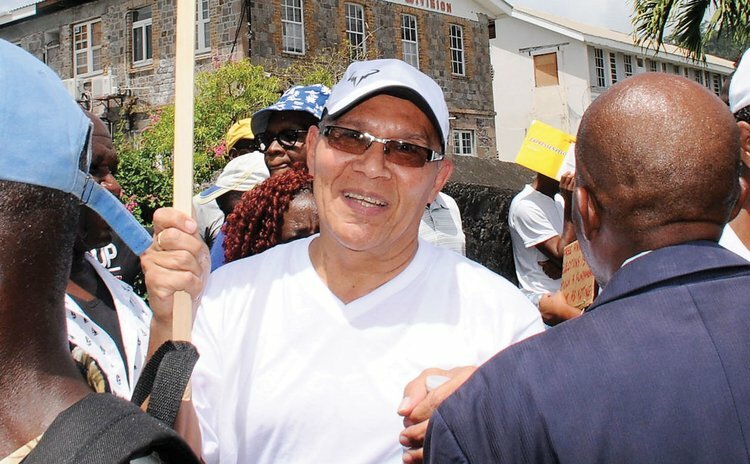 Speaking to the SUN last week, Dr. Sanford confirmed that he will be contesting that seat for the UWP. "I have given it lots of thought and consideration and have decided to be the people's choice candidate on a UWP ticket. I repeatedly told the people that I would only accept if their request was sufficient in number I would stand up to it and not turn my back on them. I am satisfied that the numbers are tremendous and so here I am. We are going to win this seat there is no doubt about that," he said. He continued: "The DLP did not live up to the trust and faith that the people had in them. The people have found out who Roosevelt Skerrit is and enough is enough. The people have decided that they want change and there will be change." According to Dr. Sanford, his past is one of dedication to his people. "I didn't go to study medicine in Cuba, I went to do arts since I was involved in culture, but when I realized that I could change, I thought of something that would make my people proud and bring more respect to them," he said. "I have worked in the community as a medical doctor and also in the Castle Bruce health district; giving free medical care and service to my people. I am a grassroots person, brought Ross University there while I lectured; the Karifuna cultural group I formed and is still there after 40 years; the Salybia Mission Project; the radio programme "Kalinago Voices" aired on Kairi FM are just some of my works," Dr. Sanford said. He said that as "We as Kalinago have been treated badly and continue to be treated badly by the DLP; I have a business in the Kalinago territory. I care for them and it will be a continuation. I have worked hard and I want to see them prosper," he said. "I am a Dominican and a Kalinago person and will not stand for any party or government to turn on the people. The Labour Party has done too much harm to the people of the Kalinago Territory and Dominica and it is time for them to go and Dominicans have decided that no amount of money they spend they will go," Dr. Sanford said. Dr. Sanford is married and is the father of one son. He has a private practice in Roseau and is involved in providing medical care and attention to the people of the Kalinago Territory. In 2009, Dr. Sanford contested and won the Salybia seat for the Dominica Labour Party (DLP) but he resigned to pursue further medical studies. According to sources close to Dr. Sanford and the UWP, the candidate will be officially declared later this month. Dr. Sanford is expected to come up against Cozier Frederick of the DLP in the 2020 general election. The DLP has won that seat over the last 15 years.